When San Diego seniors sustain injuries as a result of nursing home abuse, physicians often are in a distinct position to recognize the signs of abuse or neglect. Yet healthcare providers do not always identify these symptoms when they see them, and thus patterns of abuse can continue. In a recent article in Emergency Medicine News, one emergency physician in Southern California discusses the limitations of identifying elder abuse and the growing connection between medical malpractice and elder abuse claims. 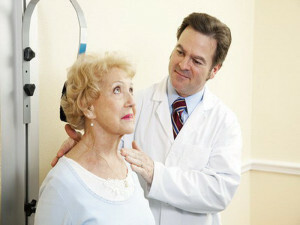 Over the last decade, physicians have seen more and more older patients. Given that the number of Americans who are aged 85 and older is growing—and will continue to increase rapidly over the coming decades—more emergency room physicians are seeing elders. But the physician in the article warns that emergency medicine specialists need to be careful to avoid taking shortcuts when it comes to treating elderly patients. While healthcare providers in emergency departments are encouraged to work efficiently, or “faster,” as the author intimates, we need to slow down when seniors come in with injuries that could have been caused from nursing home abuse. Primary care physicians do not typically provide sufficient information when patients arrive at hospitals. The author of the article jokes that, “if I had a dime every time a primary care physician called ahead to inform me his patient was being sent over, I might have 10 cents per shift.” Given that primary care physicians, according to the article, often do not contact the emergency department with all relevant information, the impetus is placed on the emergency department providers to do thorough work. When it comes to elderly patients, such thoroughness can make an enormous difference. For instance, if an emergency room doctor learns of a history of emergency department visits in which symptoms look like those of nursing home abuse, the physician may know with more clarity to contact authorities. When physicians do not properly recognize signs of nursing home abuse, can they be held liable for medical negligence? As the article notes, the fact that only about one out of every 14 elder abuse cases gets reported is more likely to “represent a clinician’s inability to recognize signs of elder abuse and neglect, rather than a conscious disregard of abuse.” But should we expect more of physicians? After all, healthcare providers often are in a unique position—when seniors in nursing homes suffer injuries, they may see a doctor. That doctor may be the only person who can make the call as to whether the patient’s injuries may be the result of nursing home abuse. The article suggests that it is quite possible that physicians will be held liable for medical negligence when elder abuse is not properly identified. However, given that medical malpractice claims have a damages cap, patients may be better off seeking a remedy under California’s Elder Abuse Act. If you believe that an elderly loved one may have been the victim of nursing home abuse, you should discuss your concerns with a San Diego nursing home abuse attorney as soon as possible. It is never too soon to speak with a legal advocate when a senior’s safety could be in question. Contact the Walton Law Firm today.